You can edit the templates as required. You may NOT remove the RichoSoft Link and ‘Made by...’ text. 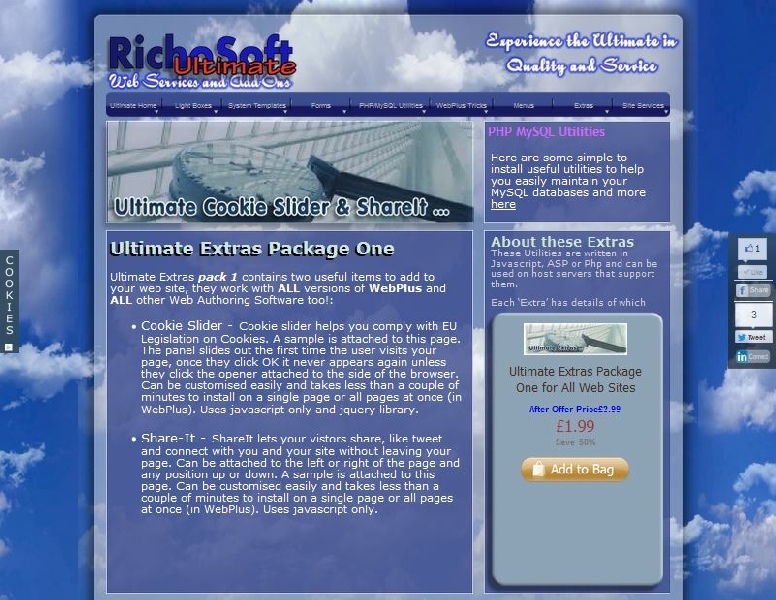 You may remove the RichoSoft link by donating using the link on the left. What’s happening at RichoSoft ? Web-Site re-designed. 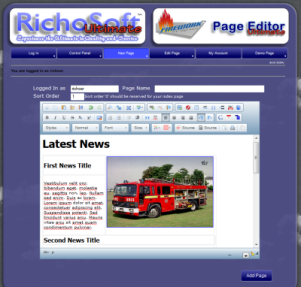 The RichoSoft Site now has a new look, I hope you like it. Lot’s of New Tools and Templates on the way. Keep checking back to see the latest additions. 3 basic versions and now the new Ultimate version. Allow your clients, visitors or just you to edit page content on-line without using WebPlus or other editing software. No uploading new or edited pages. Flexible, Simple and easy to use. 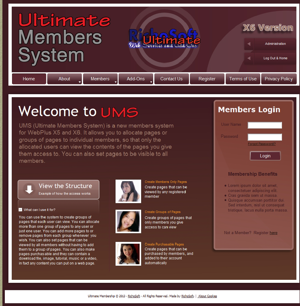 Allocate groups of pages to specific members or all members, provide purchasable pages that are automatically added to the members pages after payment. Includes auto PayPal interface. Flexible, Simple and easy to use. Has more features than usually found on other expensive systems. No Monthly Fees. Customise the system in WebPlus. Complete system is in a single WPP. 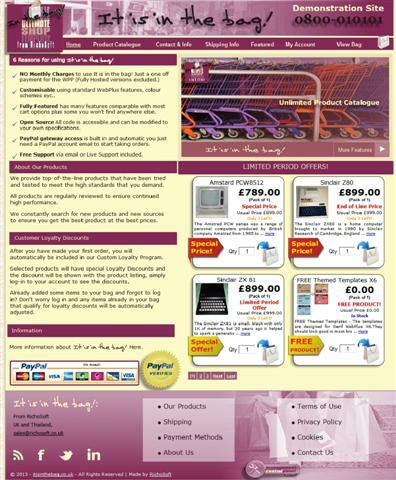 Probably the most integrated shop system ever produced for WebPlus. Looking for Anti-Virus Software? AVG works well for me and there’s a free version too! Create Modal Pop-Ups, Forms and Pass Back Values using custom lightboxes in X5/X6.